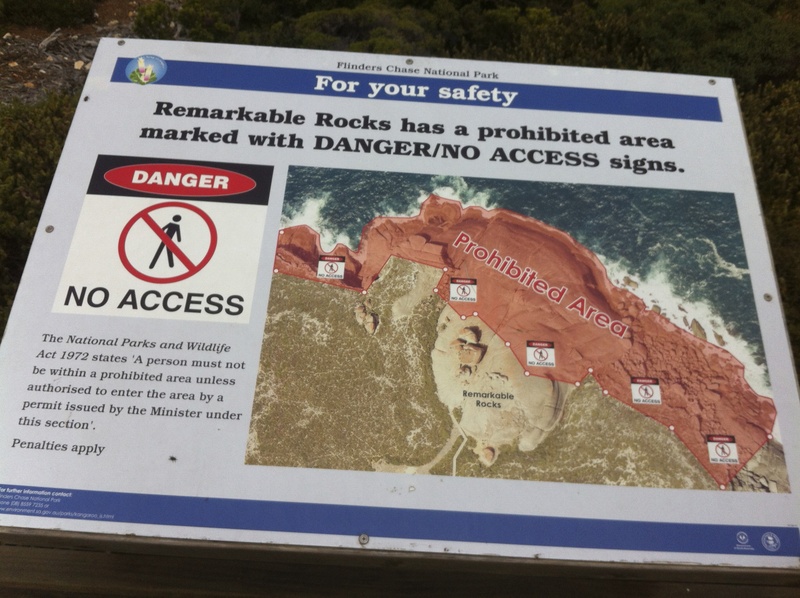 Kangaroo Island – if you read the first review I wrote, you’d probably think I was being a bit harsh. I probably was. But, I’m looking at this from a much different standpoint. I’m looking for nature and beauty that is rustic and free. But what we found is something different. Let me explain, about 30 years ago, it was probably exactly what I was expecting. 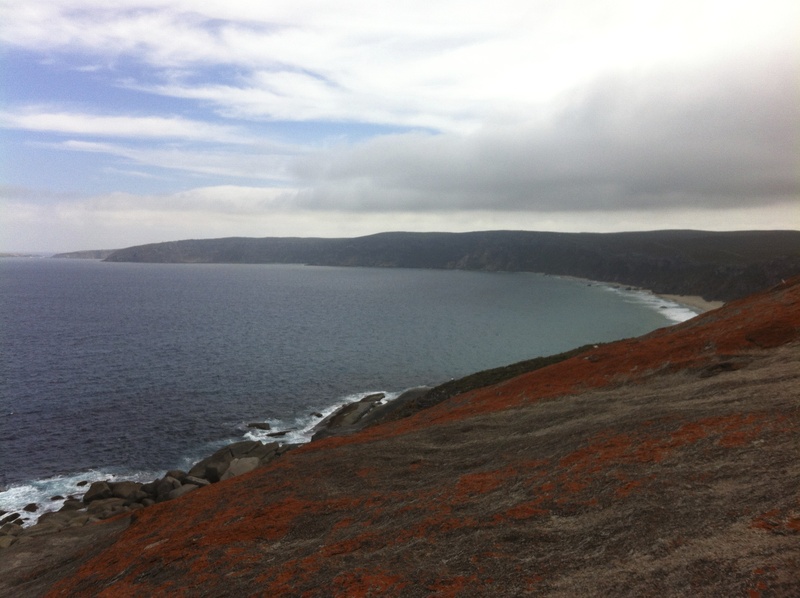 Kangaroo Island full of tie-dye wearing, pot smoking, combi van driving hippies… They’d travel around the island, taking in the beauty, sleeping wherever they could (and probably with whomever) – and I bet some never left. But, 30 years on… it looks like corporate Australia has stepped in and decided to cash in on these grown up former hippies that are looking to return to their former youth. This is why I say this. 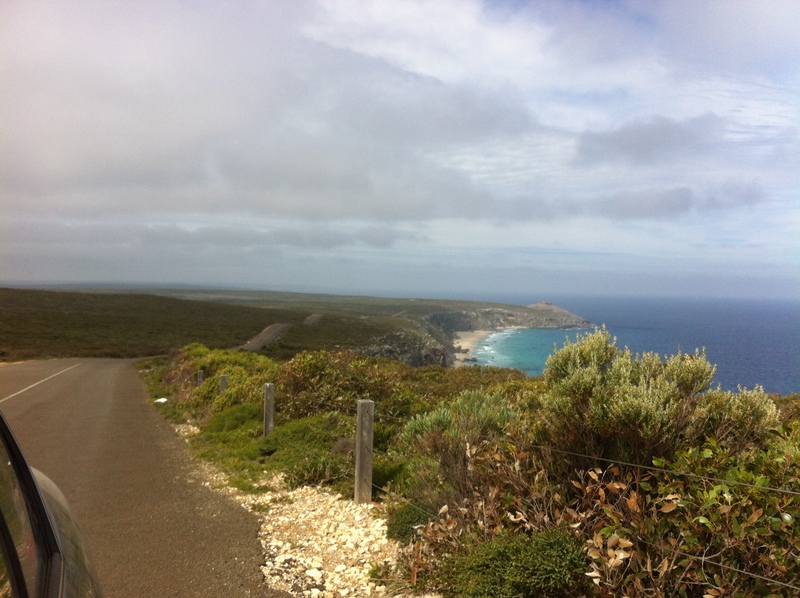 If you go to the Kangaroo Island webpage, you’ll see a little blurb about Chauffeured Motorhomes. WTF. Seriously? Okay, I saw one of these on the island. It’s absolutely epic – there’s leather seats and there’s nothing eco-friendly about this bad boy at all. Some guy is paid to drive you around the island to see the sites. No thank you. Secondly, we went to “The Remarkables” – it’s on the far-side of the island in a big national park. The roads are fantastic. The views are epic, but… bus after bus – they drive in one by one and the tours unload and reload, unload and reload. 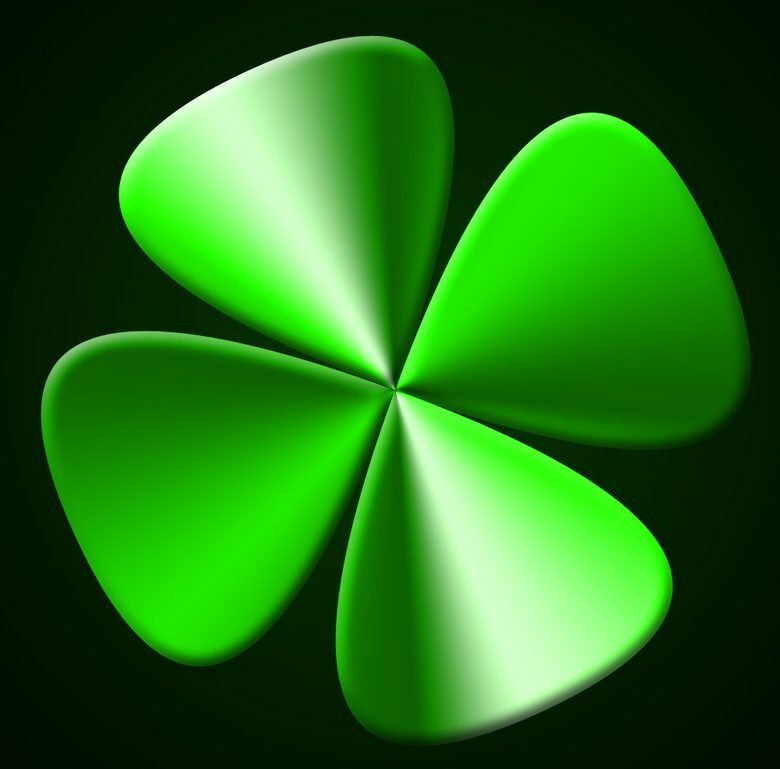 My companion likened it to always being asked for a little tip everywhere – like in America. And yet it’s wildlife – it’s just there… the wild dolphin we swam with at the beach on the north side was just there. No tours, no guides, no timbre walkways, no asphalt, no expensive restaurants, no shops… just a rocky sand trail through the rocks to an amazing beach on the other side…. Okay – moving on. 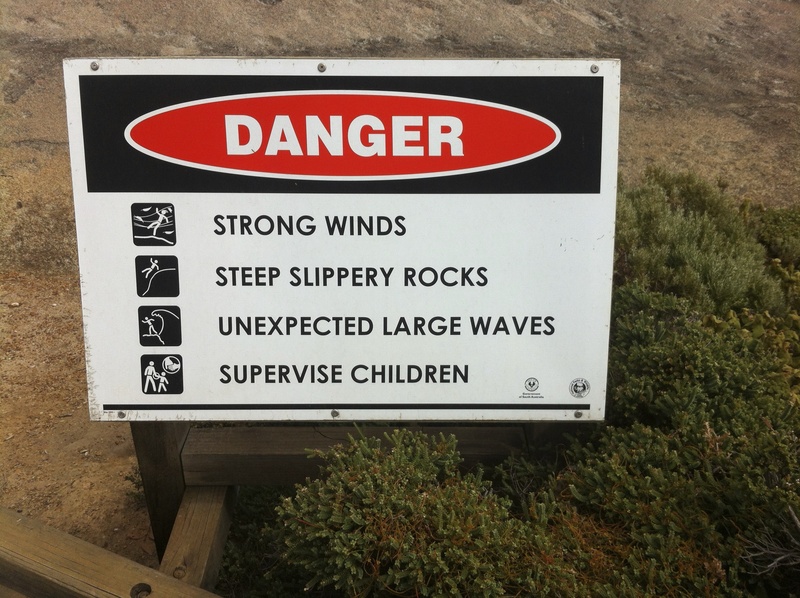 Danger signs in Australia – I LOVE them – they’re great and some of the best ones I’ve seen were in Coober Pedy. But The Remarkables also had a few doozies. We were entering a very dangerous place. Very dangerous. Note the unexpected large waves. We were looking at these gigantic rocks. They’re kinda huge and pretty much the same as Murphy’s Haystacks. The elements helped form them – carving away all the soft rock and leaving what you are now seeing. 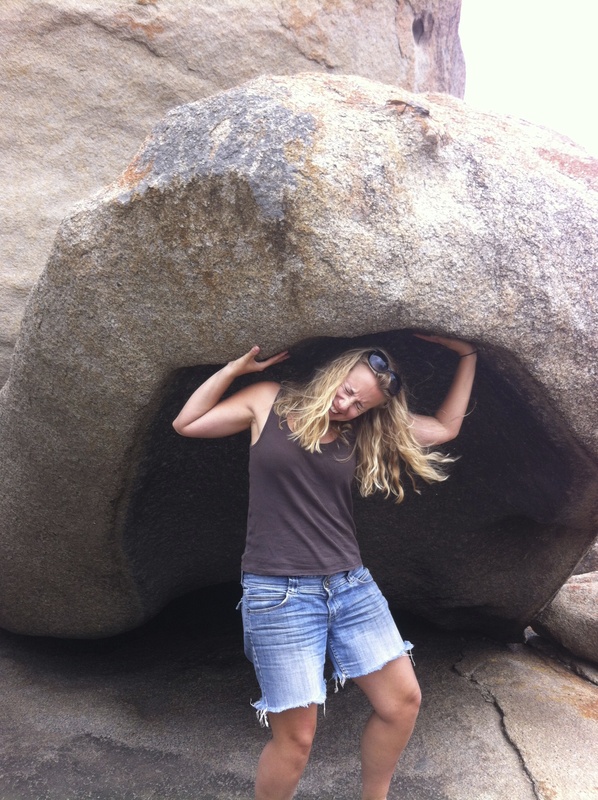 Here I am picking up one of the styrofoam rocks that they have on display. You gotta watch that the wind doesn’t pick it up and blow it away.